Needle Conan's fledgling phoenix sidekick. He possessed the ability to enter flat surfaces and magically transform into a phoenix design (although he needed his magical tail feathers to accomplish this feat, and lost this power if he lost one of them). 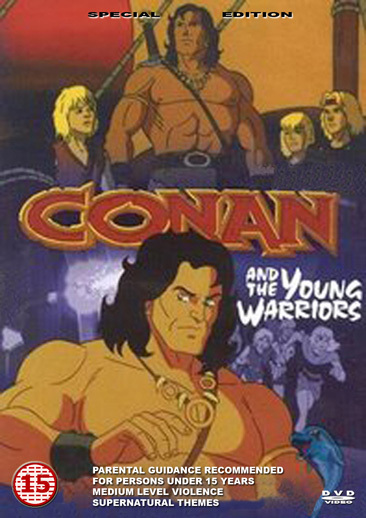 Thunder - Conan's willful (but loyal) horse, eventually armed with Star Metal horse shoes. 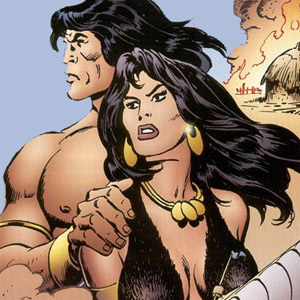 Thunder was stubborn, refusing to enter cities, and threw Conan from his back on more than one occasion rather than enter a city. Jezmine (Janyse Jaud) - An agile circus performer who possesses a set of Star Metal throwing stars, her character was possibly based on Valeria (she started as a thief but became an honest woman for the rest of the series but is in love with Conan nonetheless) especially where the first point is that Conan and Jezmine are seen climbing a tower where Jezmine attempts to steal some priceless treasures. Greywolf (Scott McNeil) - A wizard from the magical city of Xanthus. Originally armed with a bare staff, he was given the mystical "Claw of Heaven" made of Star Metal that was mounted atop his staff and effectively doubled his magical power (as stated on a couple occasions). His brother and sister were transformed into werewolves in a plot by the Stygian queen and sorceress, Mesmira. 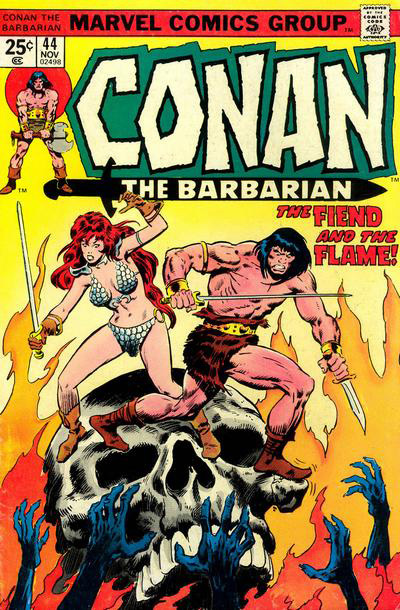 As a result, he consistently seeks a cure for their condition alongside of Conan. Falkenar - Champion of the kingdom of Kusan, he the use of the "Mantle of Wind" to fly, and is armed with a Star Metal whip. He and Windfang are bitter enemies through repeated attempts by the villain to invade Kusan. He has a female falcon named Stormclaw. Sasha & Meesha - Greywolf's older brother and sister, transformed into wolves by Mesmira. During one episode a single flower was found that could transform one of the siblings back into a human. Snagg (Gary Chalk) - A barbarian (as strong as Conan) from Vanirmen tribe, which lives at the sea shore.